‍Practice makes perfect. We've all heard this phrase at some point in our lives whether from a coach during sports practice, a teacher in a classroom, or our parents while doing chores at home. But does it? What if we do the wrong thing over and over? I once heard this statement which feels more accurate: Practice doesn't make perfect - practice makes permanent. Most people think of practice as repetition. What we've found over years of teaching juggling and what this book suggests is that growth doesn't come from doing the same thing over and over. It happens when we mess up, acknowledge it, and try something else. In other words, growth happens when we engage in deliberate practice and mindful learning. Is perfection really what we want to strive for anyway? I agree with Hadeed that the goal shouldn't be perfection, but instead should be growth for ourselves and the people we lead. 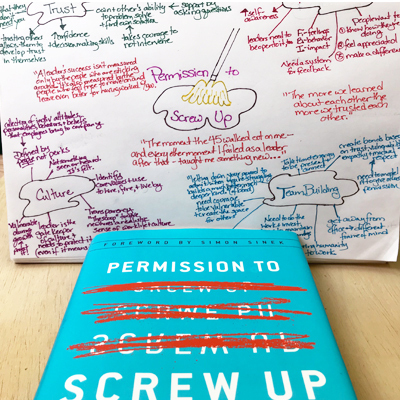 She writes, "I wrote this book to show that behind every leader is a perfectly imperfect story" and "I want to be a role model, not an unattainable ideal." She uses the power of story, her own story of missteps and short sightedness in building her cleaning business, to convey in a very relatable way some of the same lessons that Margaret Heffernan shares in Beyond Measure. As a young entrepreneur, she sometimes made decisions mindlessly. 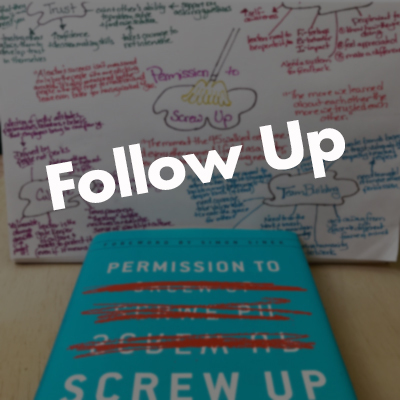 The pressure to generate revenue, hire quickly, or make decisions based on what she thought other entrepreneurs/leaders would do led her into messy situations. 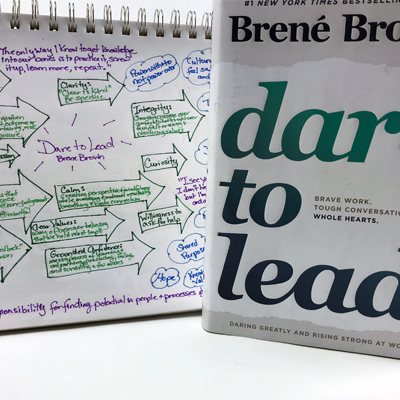 Throughout the book, she demonstrates that growthful leadership requires embracing the messy and lots of practice. Practice Takes Time: As I sit here reflecting on this book, the high school marching band is practicing in the parking lot across the street. They start in the heat of August practicing weeks before school starts and continue into November. I love watching their process - starting without instruments to work on choreography, then moving up to carrying instruments without playing, and so on. I imagine the freshman get impatient in those first weeks because they probably want to jump right to the cool synchronized marching and playing part. I know my impatient self would rush the process and then likely hurt myself running into a tuba! How often do we rush to execute complex skills without practicing and mastering the component parts? Or we watch others and assume that we should easily be able to perform a skill without much practice? What Hadeed realizes in the course of scaling her company is that many of the soft skills needed to create and maintain a positive culture, give and receive effective feedback, and build trust among team members require practice and an investment of time. Practice Takes Courage: Hadeed mentions the need for courage at a number of different points in the growth of her company (and herself as a leader). From having to admit she messed up to the 45 employees that had walked out on her first major condo complex contract to giving her HR intern the space to figure out how to fix her own accounting mistake which led to overpaying staff in the amount of forty thousand dollars, she needed the courage to be vulnerable. Maybe this theme of vulnerability and courage jumped out at me because I'm currently reading Brene Brown's Dare to Lead (look for a blog post on it in the coming weeks) and recently heard a few interviews with Brown. From her research, Hadeed's stories, and my own experience, vulnerability and courage seem essential for moving past the mess ups or staying stuck in one's comfort zone in order to avoid failure. It's necessary for mindful growth, but many people don't want to talk about it because it goes against our "pull yourself up by your bootstraps" culture. We've recently added a new challenge to our corporate team building workshops in which participants have to ask others for help when they drop a ball. On several occasions, people have shared in the debrief that the lesson "it's okay to ask for help" had a big impact on them. We're often so focused on the fact that we don't want to appear weak that we don't realize asking for help gives other people permission to do the same. 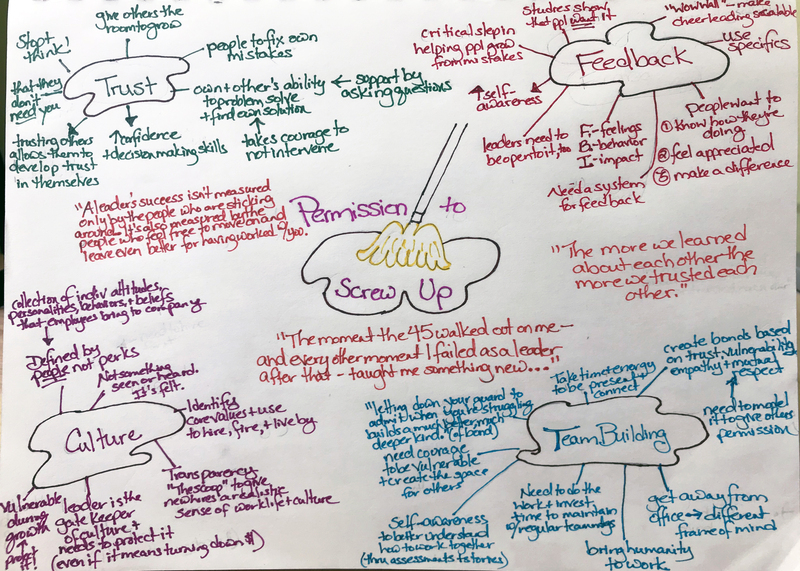 Modeling vulnerability creates space for the whole team to practice acting with courage. ‍Practice Takes a Commitment to Growth: Repeatedly, mindlessly doing the same thing over and over takes less effort which maybe explains why it seems more appealing sometimes. Having the courage to try something different, something that might go against the grain of how other businesses operate can be hard. Hadeed constantly read, listened to keynote speakers, and found a number of mentors to broaden her perspective on how to run a business. Then, she would test their ideas. If they worked great, but often times she would have to adapt them to fit her business model or her college-aged employees. Her commitment to her own personal and professional development shines throughout the book, but more importantly she models a growth mindset for her team. When she has them stand on the duct tape line in their office to illustrate that both leaders and employees must come to work and be willing to "stand at the line" that included, "we need you to show up every day wanting to invest in yourself" and "if someone doesn't care about improving or if they don't overcome a weakness after we both commit to an improvement plan, then they have to go." In other words, all members of the team from her as the leader down to each and every employee have to be willing to do the work necessary for growth. As you can probably tell by now, Hadeed's understanding of leadership resonates with me. She embraces the messy, does the work, and focuses on how to grow herself, her team, and her business. She doesn't only use traditional measures such as revenue, retention, etc. In fact, at one point she makes the courageous decision to turn down contracts because the additional work and temporary hiring it required threatened the company culture. She explains it best here, "A leader's success isn't measured only by the people who are sticking around. It's also measured by the people who feel free to move on and leave even better for having worked with you." ‍What skills are you practicing? How can you share that practice (both the advances and setbacks) with your team to help them grow, too?